Fans in Los Angeles eager to gain a seat at the premiere can now claim tickets online on a first-come, first-serve basis. Previous years have done lines, but this year tickets are only being distributed through the link below. Please note that seats are not guaranteed. Passes are for both film and bleachers. 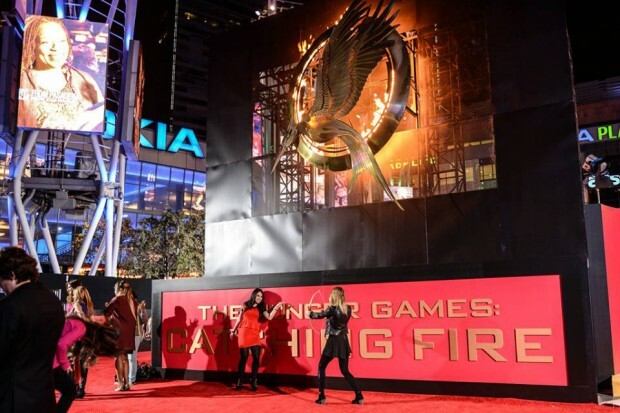 Fans can also line up to see the cast arrivals on the side of the Staples Center. First come – first serve. No seats are guaranteed. Guests must report to STANDBY check-in line by 4:15pm (NO LATER), located at the corner of Georgia St. and Chick Hearn Ct. in front of the LACC West Hall steps. Parking is available in Lot C for $15, or surrounding lots (expect rates to be $10-$20). Parking will not be validated.